Our caring professionals deliver exceptional health care and unparalleled service to the patients we serve. 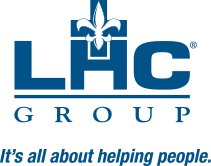 At LHC Group, it’s all about helping people. Do you represent a Hospital, Health System, or Payer? Contact us here.